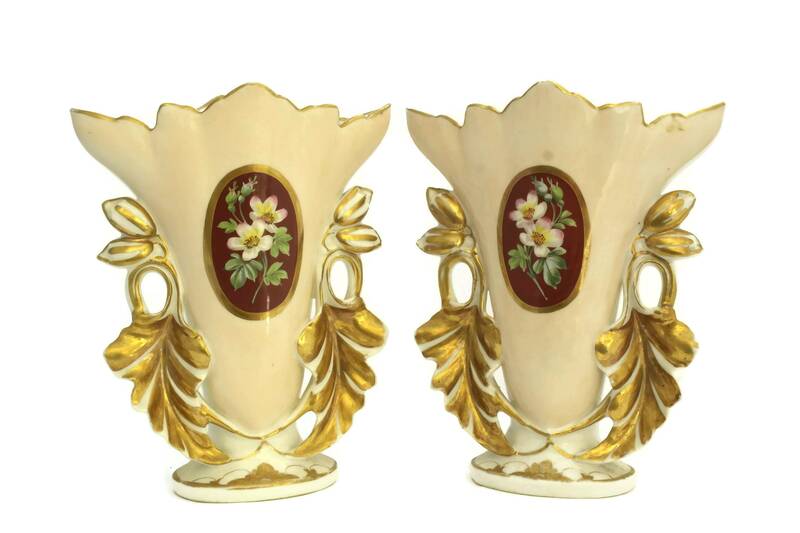 A pair of matching antique French porcelain of Paris wedding vases. 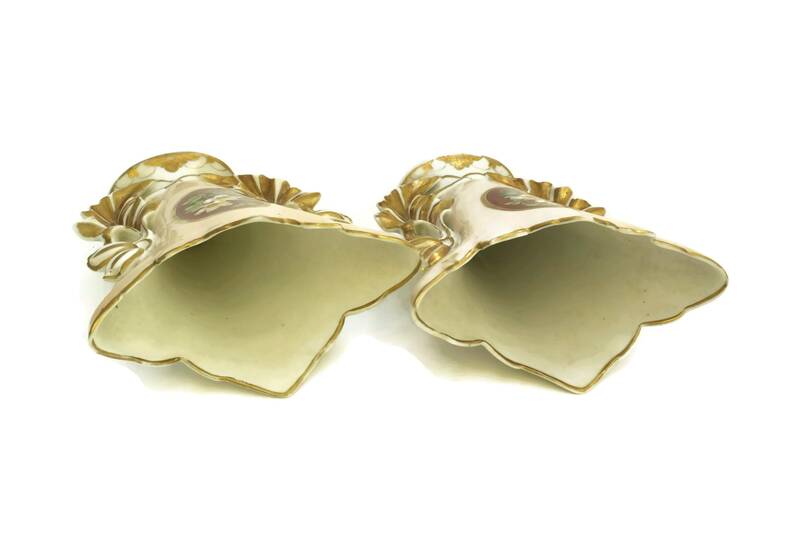 The pair dates the late 1800's, the Napoleon III era, and was once used to display bouquets of silk flowers to commemorate a couple's marriage. Often, the vase and flowers were housed under a glass globe. 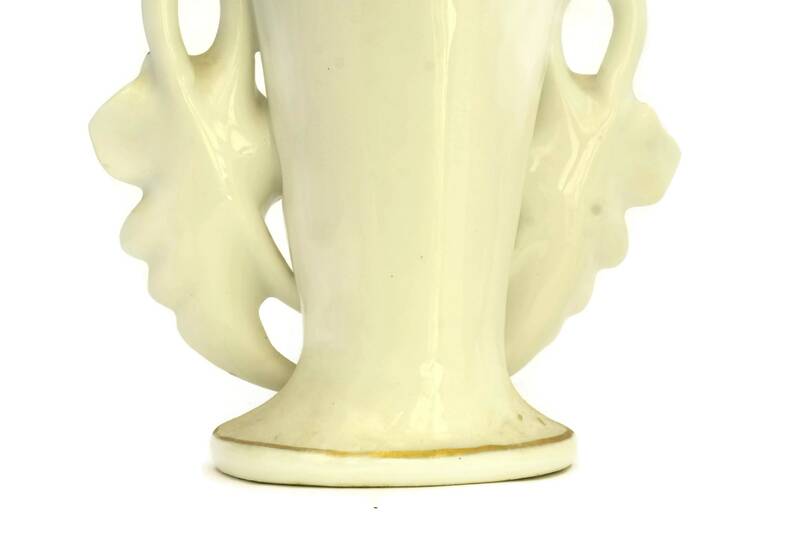 This style of decorative white and gold porcelain is known in France as "Porcelaine de Paris". 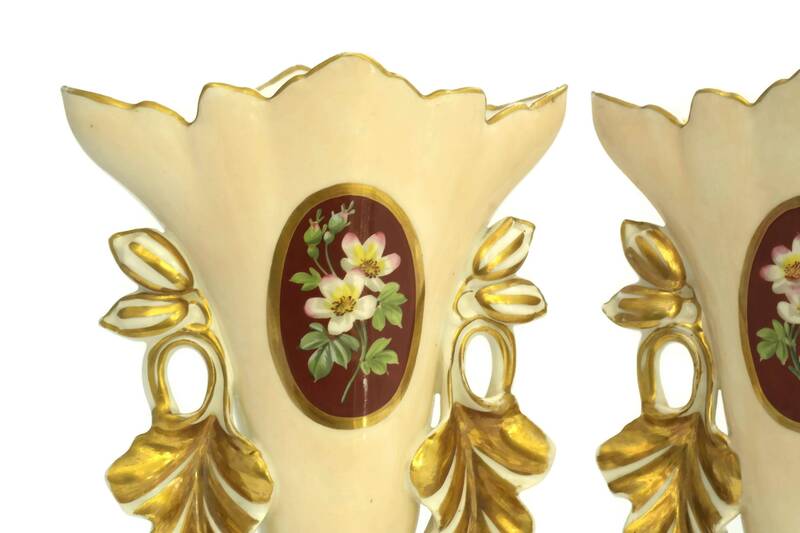 Each of the two large bridal vases has been delicately hand painted on the front in a shade of pastel pink and decorated with a medallion with flowers. 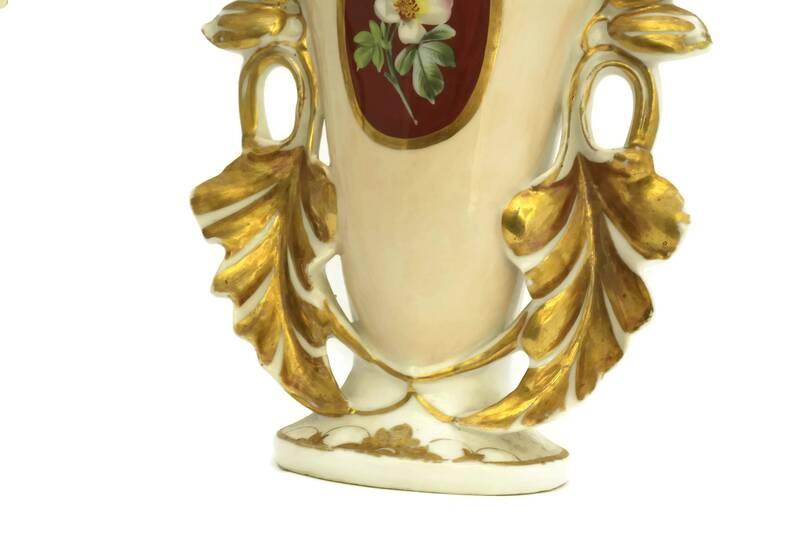 The sides of the vases have been ornate with relief acanthus leaves decorated with gold accents. 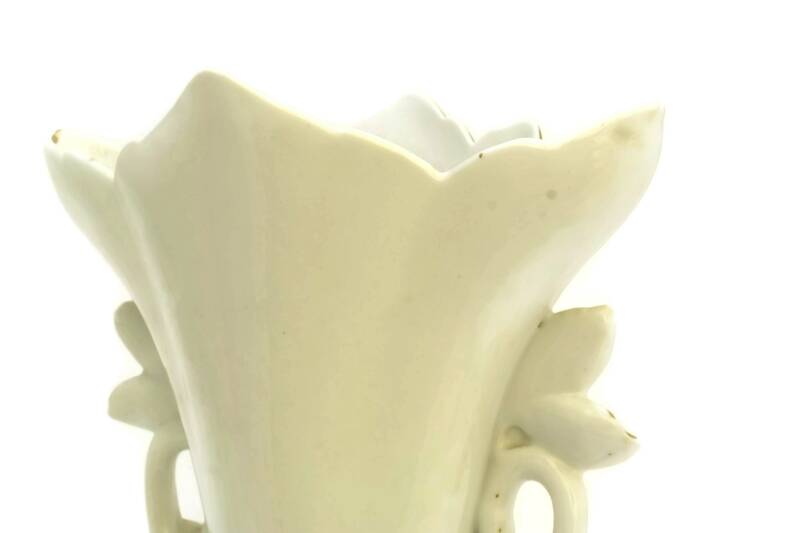 The base of each vase has been stamped with the reference number "40G" and signed with the initial "OE". 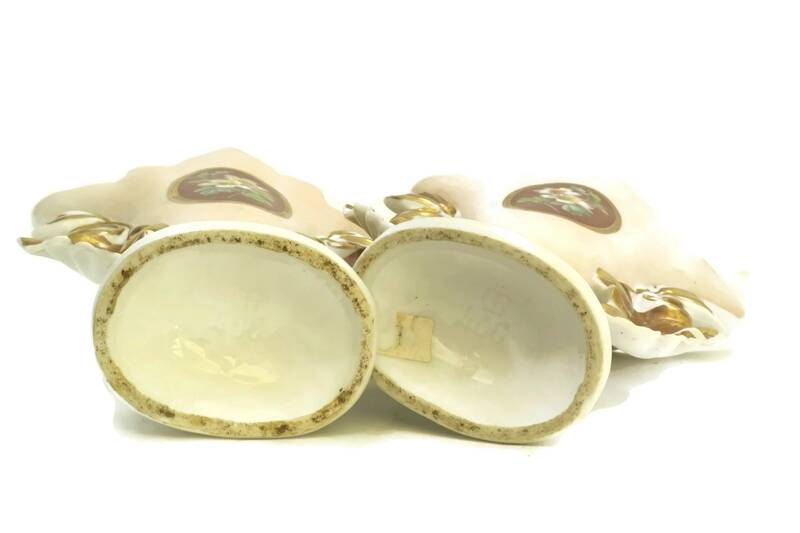 The pair will add a great shabby French touch to your home decor or will make a beautiful wedding gift. 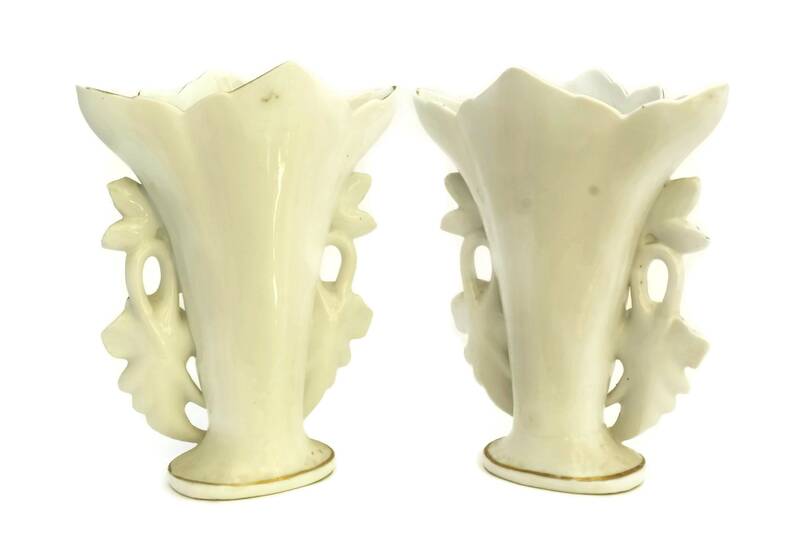 Each vase is 9" Tall x 7" Wide (22,5 cm x 18 cm). 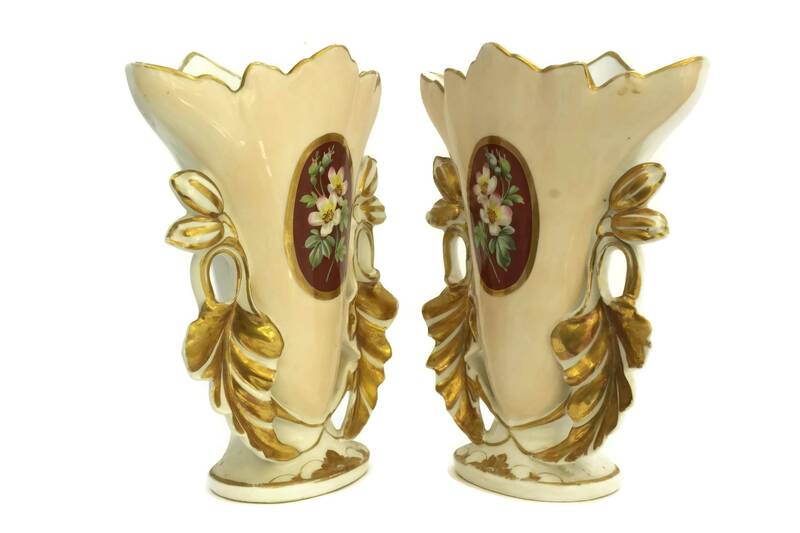 The 19th century vases are in very good antique condition with some light wear to the gold highlights. 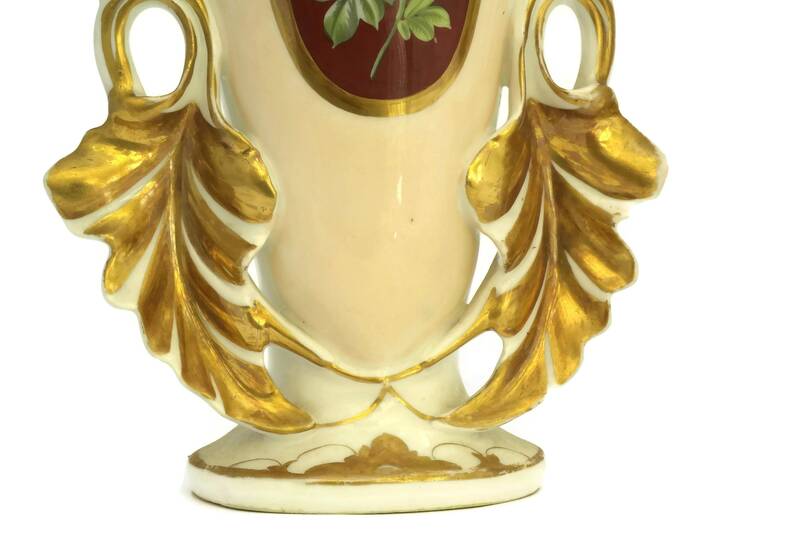 There is a small chip at the back of a leaf on one of the vase.